From the time the tea leaves are harvested to the moment they reach the factory for processing, they must not be allowed to start fermenting, as this could spoil the quality of the tea. So in various locations around plantations there are small shelters built to protect the leaves from rain until they are taken to the factory. In my teapot this morning, a portion of Mount-Kenya Golden-Leaves is opening up in the water. This is the first premium tea I’ve found in Kenya, and it has just arrived. I love its notes of honey, wood, wax and liquorice. They are warming, and celebrate the end of winter in their own way. They make you want to stay indoors a little longer, warm and cosy. They make you want to breathe in their aromas, cupping the bowl in both hands. 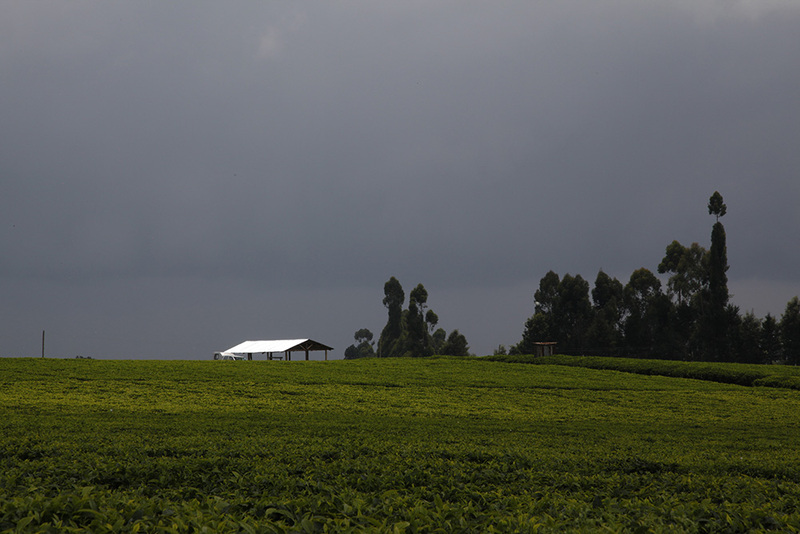 A premium tea from Kenya is a big deal. 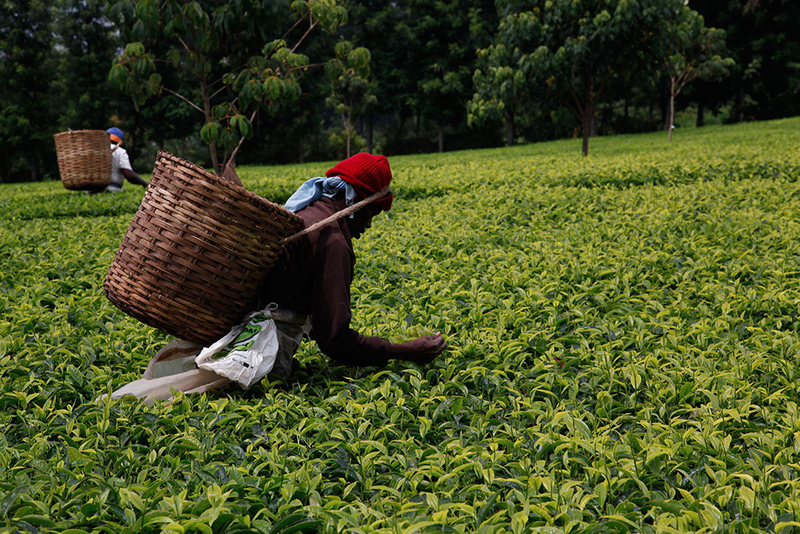 The country is the world’s third biggest tea producer, and the biggest exporter. Almost all the tea it produces is “dust”, for tea bags. So we should encourage those who are working hard to make quality teas, picking the leaves by hand with care, doing things the traditional, artisanal way, rather than on an industrial scale. This photo shows the Kangaita research centre, which provides valuable support to small producers. 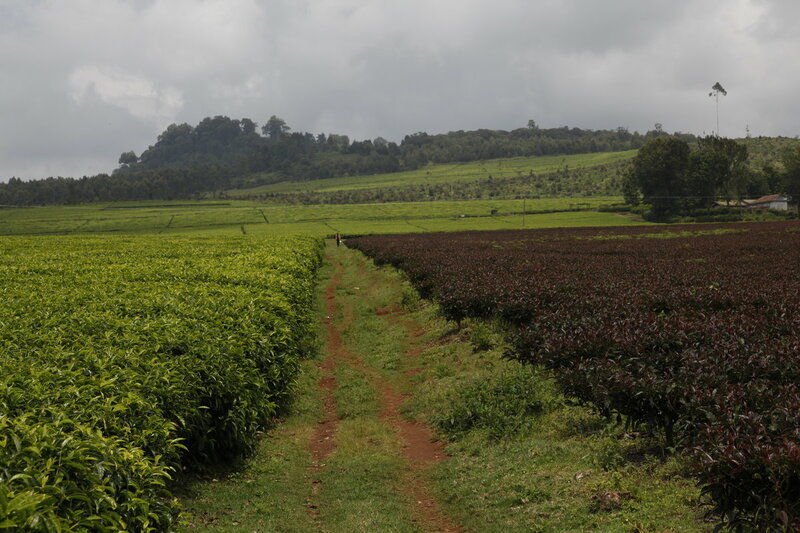 Kangaita in Kenya is one of the country’s few plantations that produce high-quality teas; in other words, whole-leaf. 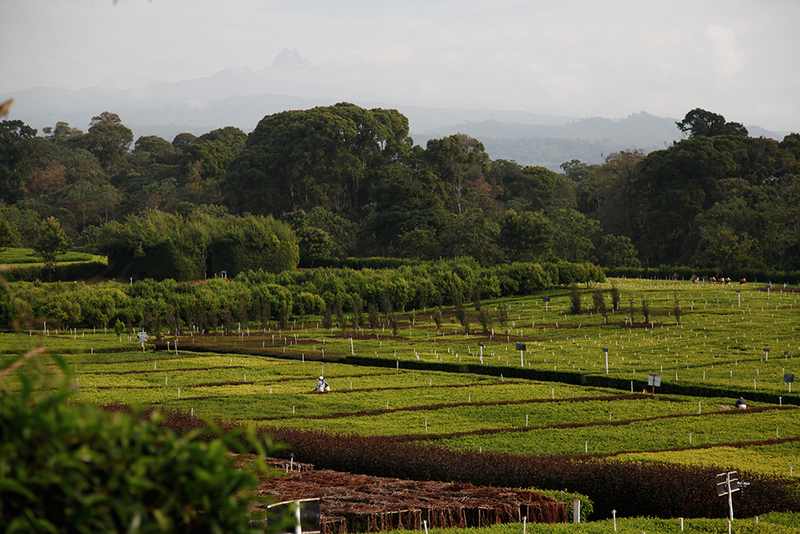 The national park of Mount Kenya borders the garden and many birds flit about the tea plants. On the other hand, elephants are not welcome, because of the damage they cause. 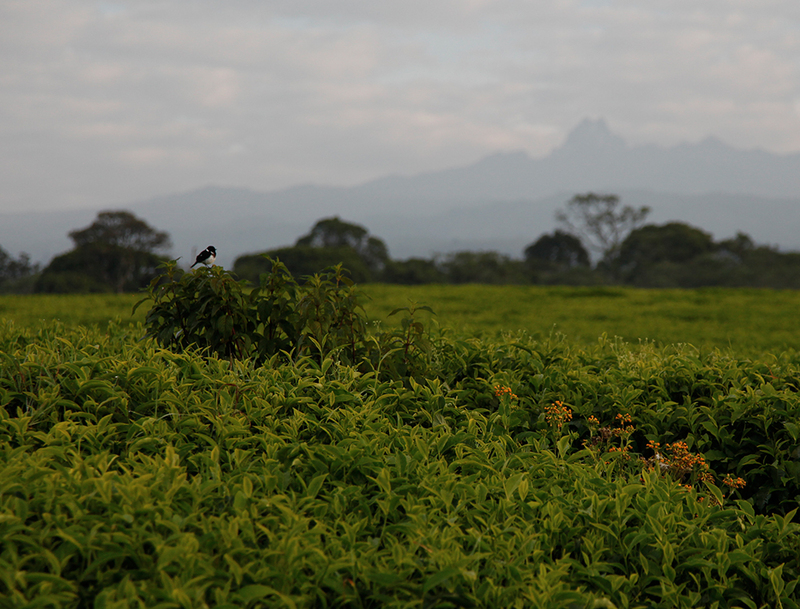 Here, you can see the peaks of Mount Kenya in the distance: the highest is 5,199 metres. Kenya is one of the biggest exporters of tea on the planet. Sadly, most of its tea is CTC (Cut, Tear, Curl) – the type used in tea bags. 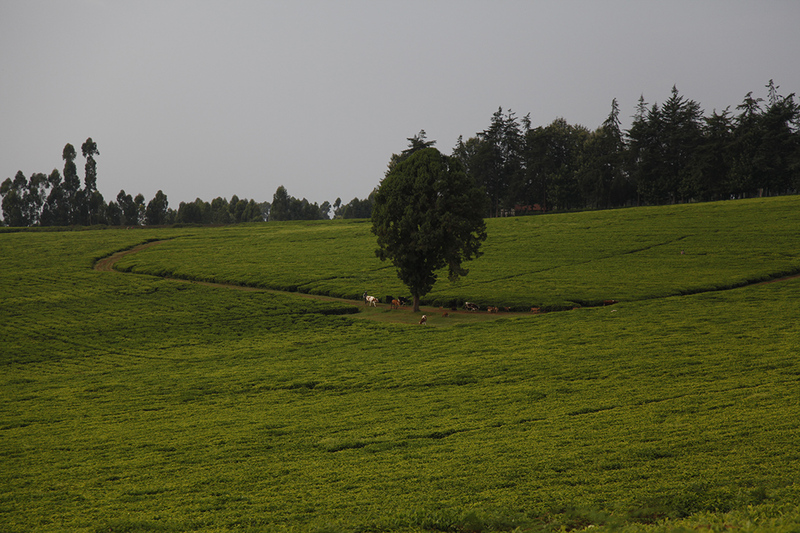 But that should not prevent us from seeking out, at higher altitudes, small producers aiming for quality. 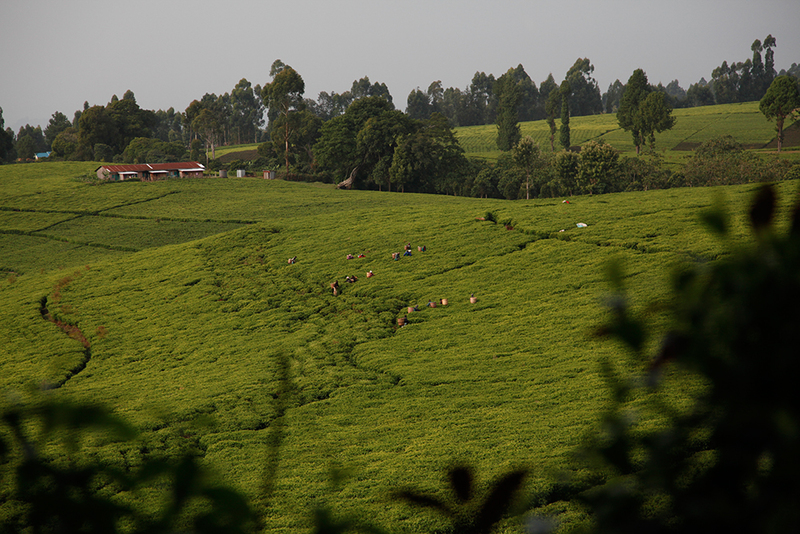 So here I am, on the slopes of Mount Kenya, tasting some magnificent black teas. It goes to show, one should not rush to judge: just as some great “appellations” occasionally throw up unpleasant surprises, I sometimes come across passionate people who have acquired serious expertise, in less well-known places.